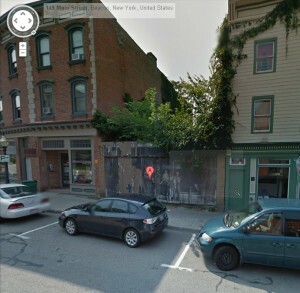 On Tuesday, December 10, the City of Beacon planning board got a sneak preview of a proposed 10-room hotel to be located at 151 Main Street, long a vacant lot. Because the project is just underway and will need several variances, the appearance before the board was premature, but allowed the applicant, Roger Greenwald, an opportunity for some early feedback after he gave a short presentation. The site plan calls for a 3-story structure, with a fourth-floor solarium set back from the facade. 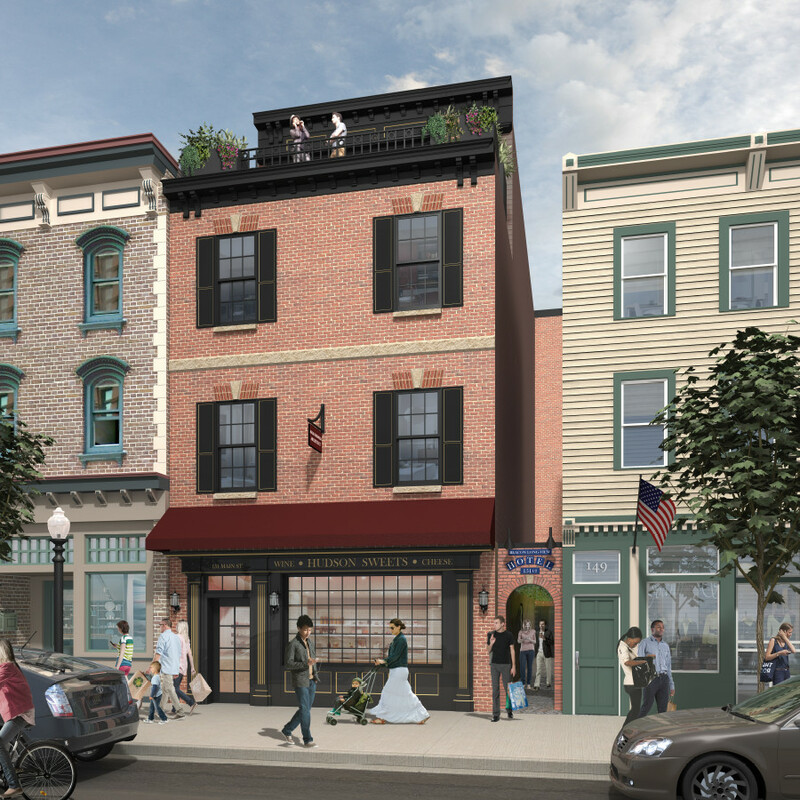 In addition to the 10 hotel rooms, the building’s first floor would contain a small retail shop and the second floor would house Greenwald’s office. Greenwald has many years of experience as an architect/builder in the Washington, D.C. area. 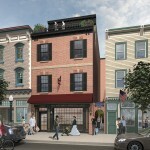 Enamored of the idea of a small, European-style urban hotel, but priced out of D.C., where “you need 20 million in the bank to be a player,” he started looking along the train lines from New York City, where his two daughters will be starting out in the workplace, and where he envisions most of his potential customers will be from. His marketing concept includes working with local businesses to design package getaways—snow shoeing with Mountain Tops, a glass blowing demonstration or class, followed by an evening in front of the rooftop solarium fireplace, gazing at Mt. Beacon. Greenwald’s approach to the design is heavily influenced by the surrounding buildings. He is a big fan of the craftsmanship and care that went into the creation of those structures. The variances he is seeking involve parking, building height, and floor area ratio, or FAR. Parking requirements would go from 17 to zero. The hotel would cater to short stay travelers, many presumably arriving by train. These customers would have a taxi ride included in the room price. Overall building height would go from 35 feet to 48 feet, with the top floor set back. FAR would go from 2.0 to 2.9. Building inspector Tim Dexter pointed out that if the lot were 500 feet east, in the new Central Main Street (CMS) district, no variances would be needed. Although the board had a few questions, members were positive about this project. Rendering of proposed hotel provided by Roger Greenwald. I share your sentiment about less cars, but building huge and expensive and ugly structures for them is not a good idea right now, in my opinion. The easiest most economical thing we could do tomorrow would be to start charging for parking on Main Street.Mayor Casale has said he is going to implement this during his administration. Finally a place to stay on Main St, Can’t happen fast enough… While that lot has been a weird beautiful secret garden of decay, it’s better off to fill the hole in that area. More feet on the ground, less cars – all we need now is to drop the traffic to one lane. Anybody up for building a 3 story parking garage nearby?